Join us for the Celebration of St George thanks to United St Saviour. 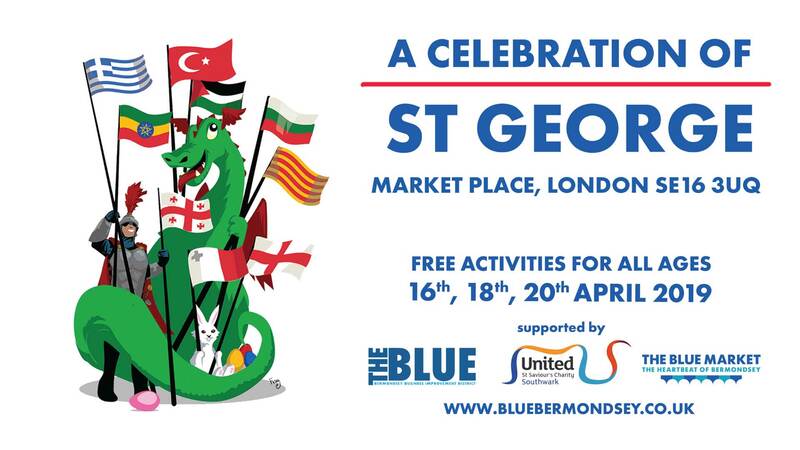 On Tuesday 16th and Thursday 18th of April from 1pm to 4pm, in preparation for the Celebration of St George event, the Blue Anchor library will host a series of workshops, alongside performances of stories of the history of St George from Frog Morris. Participants will be invited to make and decorate props for their own show, including flags and tabards made from fabric, and shields and helmets made from cardboard; there will be other props available to decorate as well. Paint, pens and collage materials will be on hand and everyone will help to build up a giant dragon puppet made from paper and cardboard.